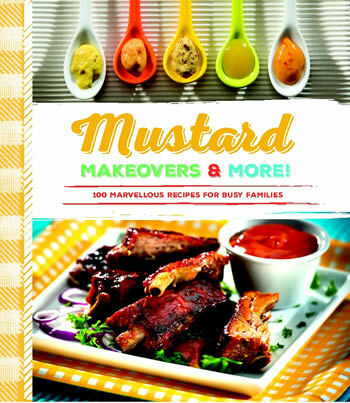 Besides recipes ranging from one-pot meals to pizzas & pitas and desserts, Mustard Makeovers & More! includes information on food safety and healthy eating, and even provides instructions on how to grow your own mustard sprouts. Scattered throughout the book are interesting “Did you knows” and “Fun facts” about mustard.